Also serving communities of Linthicum, Linthicum, Brooklyn Park. There are 74 Assisted Living Facilities in the Glen Burnie area, with 9 in Glen Burnie and 65 nearby. To help you with your search, browse the 137 reviews below for assisted living facilities in Glen Burnie. On average, consumers rate assisted living in Glen Burnie 5.0 out of 5 stars. Caring.com has helped thousands of families find high-quality senior care. To speak with one of our Family Advisors about assisted living options and costs in Glen Burnie, call (855) 863-8283. Glen Burnie is located in the scenic central Maryland area and is less than 30 minutes away from both Baltimore and Washington D.C. While the senior population is only about 11 percent of the total residents, seniors still have multiple choices when looking for an assisted living facility. There are nine of these communities within Glen Burnie and another 48 located nearby. 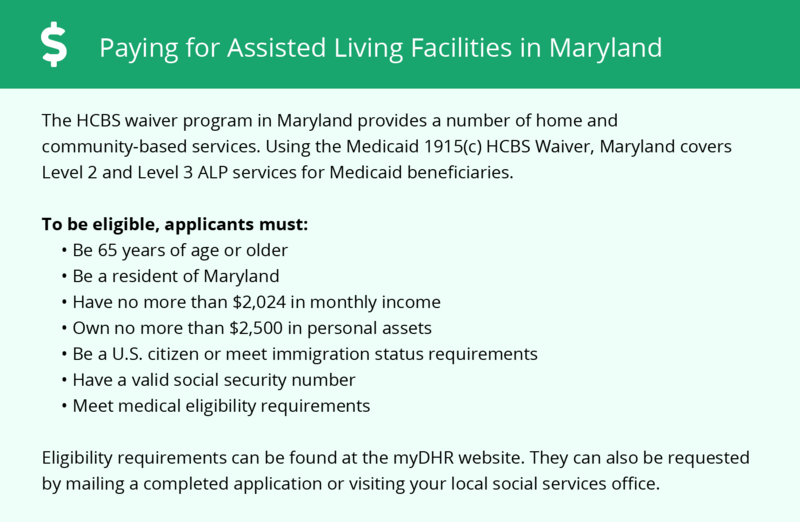 The Maryland Department of Health regulates Assisted Living Facilities, which are defined as facilities that provide housing and support to the elderly, provide personalized services such as medication management and may offer help with activities of daily living. Seniors with a respiratory condition may have health complications in Glen Burnie. Despite the American Lung Association’s favorable Particle Pollution 24-hour rating of A, the area’s ozone score gets an F.
Seniors and their loved ones may feel unsafe living in Glen Burnie due to the high crime rate. Violent crime is almost twice as high as the national average, so seniors may not feel comfortable while out on errands. Property crime is 16 percent higher than the national average. The Glen Burnie area is home to world-class medical facilities, including Arundel Medical Center, in the event of medical emergencies or illness. Active seniors who enjoy the outdoors can really soak in the sun here, with 211 sunny days and warm summers that average 87 degrees in July. The winters can be chilly with a low average of 27, but with only 15 inches of snow, seniors can still get around fairly easily. Seniors in the Glen Burnie area have access to reliable bus and rail transportation through the Maryland Transit Administration. Buses are accessible for those with mobility devices and offer a discounted fare for seniors. Glen Burnie seniors can enjoy tried and true pastimes such as a round of golf at Arundel Golf Park or shopping and dining at major retailers like Golden Corral or Target located in the Arundel Shopping Plaza. Assisted Living costs in Glen Burnie start around $0 per month on average, while the nationwide average cost of assisted living is $4,000 per month, according to the latest figures from Genworth’s Cost of Care Survey. It’s important to note that assisted living rates in Glen Burnie and the surrounding suburbs can vary widely based on factors such as location, the level of care needed, apartment size and the types of amenities offered at each community. Seniors on a tight budget may be eligible for aid with assisted living costs through the Community Options Waiver, part of the state’s Medicaid plan. 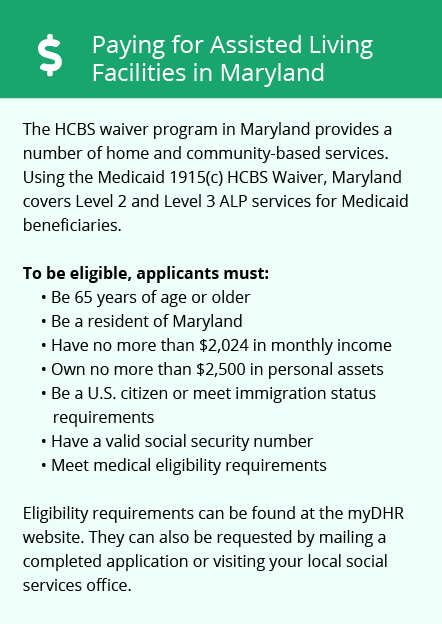 There is one non-Medicaid plan called the Assisted Living Subsidy program that also gives aid to qualified seniors living in Maryland. Glen Burnie and the surrounding area are home to numerous government agencies and non-profit organizations offering help for seniors searching for or currently residing in an assisted living community. These organizations can also provide assistance in a number of other eldercare services such as geriatric care management, elder law advice, estate planning, finding home care and health and wellness programs. To see a list of free assisted living resources in Glen Burnie, please visit our Assisted Living in Maryland page. Glen Burnie-area assisted living communities must adhere to the comprehensive set of state laws and regulations that all assisted living communities in Maryland are required to follow. Visit our Assisted Living in Maryland page for more information about these laws.